One word can best describe “new,” “unique,” “innovative” and the other 22 words and phrases on the list below: predictable. Unfortunately, when trying to make your information stands out, people often get a little too, shall we say, creative with their word choices, opting for corporate-sounding buzzwords. These words and phrases pop up so much that they tend to lose their value and meaning. 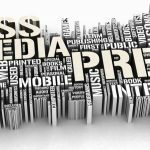 Using “cutting-edge” or “groundbreaking” in press releases or other copy when a product is neither, you are doing a disservice to yourself and to the product or service you are promoting. Holly Arthur, assistant VP, media and public relations at the Association of American Railroads, recommends sticking to the facts and skipping the hype. “The key is to remember that a press release is only as good as the facts presented and news value they represent,” she says. Avoiding stale, overused words and phrases in press releases and other copy will remain a perpetual challenge for PR pros. Staci Perkins, director of marketing and communications at the Dave Thomas Foundation for Adoption, says that lately she has been focusing more on her writing style. “Even with our subject matter—foster care adoption, child welfare, policy updates and so on—there’s a way to write without sounding stale, and a way to tell a compelling story from the heart, without those overused press release words and phrases,” Perkins says. Public relations professionals know full well the extent of buzzword abuse. After all, they serve as the voice of a company or client, paid to churn out press releases with such jargon. Back in June of 2010, Adam Sherk conducted a search on the most overused buzzwords and marketing speak in press releases. He searched PRWeb’s press release archive for a selection of overused terms, buzzwords and marketing speak using a “site:prweb.com” search on Google.com. So here are the most overused buzzwords and marketing speak in press releases based on the number of times they appear in releases currently archived on PRWeb. Any phrases that are sometimes hyphenated are grouped together with the non-hyphenated version (e.g. award-winning and award winning). Buzzwords are words that do not typically occur in everyday speech, but are common among newscasters, talking heads, and pundits on cable news. Caution Please — These ‘news words’ are accepted by audiences for their implied meaning. But often loaded words are misused or used out of context. The actual definitions can be different than what is implied. The website Newswordy is good for identifying them as they pop up. It highlights popular words used every week in news articles, quotes, and tweets.